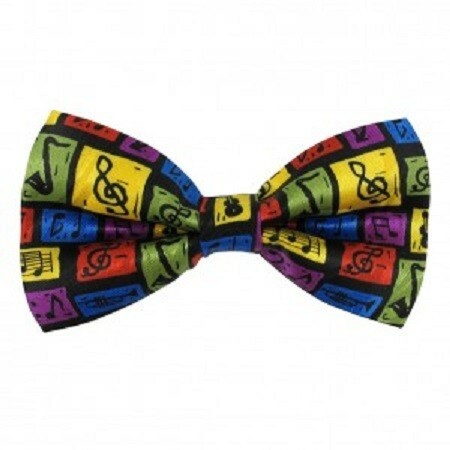 Music Scene Bow Tie – The Music Scene Bow Tie is a colorful and unique addition to your formal or business wear! This bow tie features music notes and musical instruments on a checker board layout. The perfect touch for your musical events! Awesome Piano Ties at DRUM BUM!